In the last few years there is a steady rise in the number of patients opting for laser assisted cataract surgery over traditional methods. Initial studies prove that laser pre-treatment softens the cataract, which leads to many advantages when comparing laser cataract surgery vs. traditional cataract surgery. Why Is Laser Assisted Cataract Surgery Gaining Popularity? Cataract surgery is the most common vision corrective procedure for the aging population, and it is incredibly successful. Cataracts are clouding or loss of clarity of the natural lens of the eye which clouds vision. Other symptoms such as glare or loss of sharp vision may also occur. Apart from increasing age, other factors like hereditary, eye disease, exposure to sunlight and conditions like diabetes can cause cataract. The removal of cataract, traditionally, is by making a manual incision around the lens followed by ultrasound assisted disintegration. The lens shards are then removed using a vacuum. A recent development is the introduction of femtolaser pre-treatment to soften the lens. In such cases, the ultrasound requirement is drastically reduced. Less Damage to the eye: Research supports the theory that laser assisted cataract surgery has a lower energy requirement than traditional methods. Near infrared laser beams adeptly partition the lens into sections and etch cross section patterns making it easily breakable. Reduced energy requirement has lesser side effects like alleviated inflammation during recovery. Reduced Cell Damage: Health of the eye is determined by the number of healthy endothelial cells. Cell count post laser assisted treatment remains almost the same as compared to a significant drop in the case of traditional surgery. Precision: Laser Assisted Cataract surgery leaves no room for manual error. Although, the rate of error is low with a practiced hand, there is always room for complications. Laser additionally assists the surgeon to standardize the procedure of opening and removal of the lens to replace with an artificial Intra Ocular Lens (IOL). 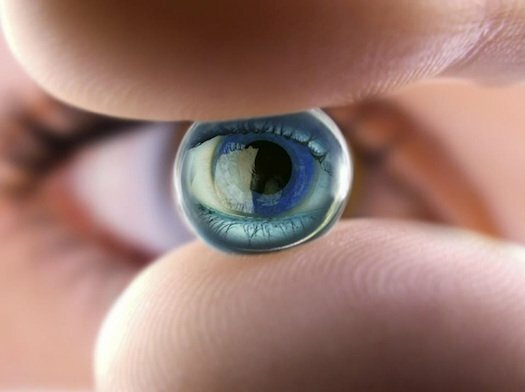 This ensures that the lens implant does not get displaced after surgery. Improved Vision: According to research, there is a significant improvement in the visual outcome. Of the number of patients in the test group, 91% belonging to the laser sub group reached 20/25 vision post-surgery as compared to 40% in the traditional group. Considering these and other advantages of Laser assisted Cataract surgery, the superiority of the laser surgery is established. Laser cataract surgery offers the benefits of precision in the creation of capsulotomy, reducing cell damage, diminishing the requirement of high ultrasound energy for lens disruption and inflammation. This should lead to faster recovery and a quicker return to good vision after surgery.